It’s grill season again and the best place to buy steak online is at BlocknCleaver.com. Unlike all the large online steak companies, Block & Cleaver steaks are cut the same day your order is shipped, which means you are getting the FRESHEST possible product available. We’ve had them and we highly recommend them! 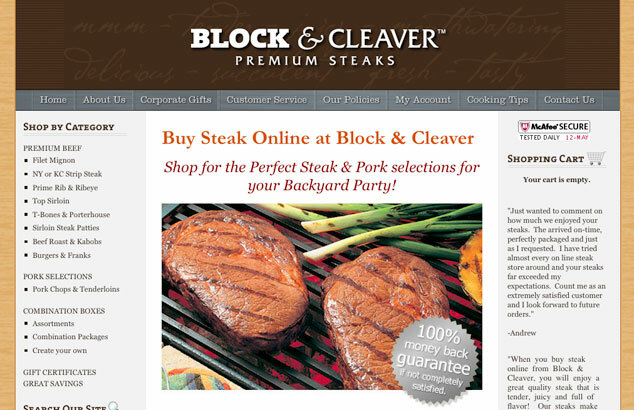 So buy your steak from Block & Cleaver for your next BBQ, or send them to family and friends, they make a great gift.